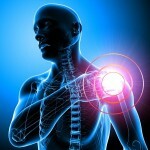 Can Your Shoulder Pain Be Treated With Arthroscopy? Most people think that the shoulder is one big joint. The shoulder is actually several joints that work with muscles and tendons to give you wide range of motion with your arm. This range of motion is what allows you to reach behind to scratch your back, stretch your arm to reach that jar of jelly on the top shelf, swing a bat, and perhaps throw a winning pitch. With all the moving parts in your shoulder, there could be many possible reasons for developing shoulder pain at some point during your life. However, if you have sudden shoulder pain with no obvious reason or the pain is accompanied by dizziness, nausea or chest pain, it is a good idea to immediately seek medical care to rule out the possibility of a heart attack. Pain from a shoulder strain or overuse is often not serious and will usually go away with some rest from activity. Other shoulder conditions might require the care of an orthopedic surgeon in order to heal properly. Bursitis – occurs when the bursae in your shoulder become swollen or inflamed, causing friction between your muscles and bones. This condition may also occur with rotator cuff tendonitis. Tendonitis – occurs when a tendon is worn down, whether from excessive overhead activities or a degenerative disease like arthritis. Rotator Cuff Injuries – may occur from a sudden injury or degenerative changes from age or wear and tear. Tendons in the rotator cuff may be torn completely or partially. Fracture – may occur from a fall or a sudden impact that might occur during a contact sports injury or car accident. Shoulder Instability – overuse or sudden trauma can cause the ball of your upper arm bone to slip out of the shoulder socket and cause reoccurring dislocations from the shoulder’s damaged tendons, ligaments and muscles. 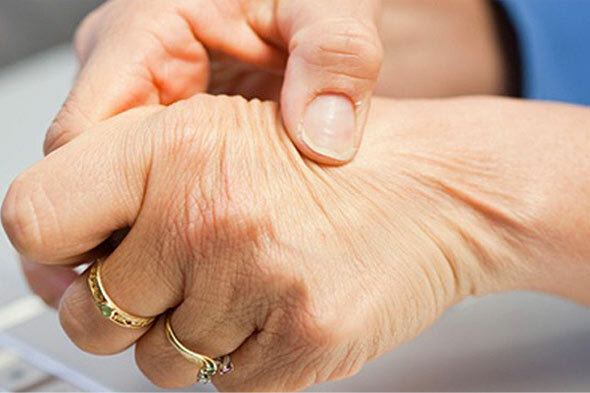 Osteoarthritis – occurs from wear and tear and usually develops slowly with the pain increasing over time. Shoulder Impingement Syndrome – occurs when the shoulder blade is putting pressure on soft tissues on rotator cuff tendons and bursa underneath the bone when lifting your arm. Dr. Howard Marans takes a conservative approach when treating shoulder injuries. However, if non-surgical methods fail or surgery is your only option at the onset, Dr. Marans is a skilled arthroscopic surgeon who has treated thousands of patients over the past 20 years. Many pain-causing shoulder conditions can now be repaired through arthroscopy. Arthroscopic surgery is a minimally invasive surgery that is normally performed on an outpatient basis. Because your incisions are less than an inch in length, there is reduced risk for bleeding, infection and no stitches are needed. To find out if you are a candidate for arthroscopic surgery to relieve your shoulder pain, schedule a consultation with Dr. Marans by calling 714.979.8981 or by clicking the button below. Are You Suffering From Runner’s Knee? The knee might be the largest joint in the body, but it is also the most vulnerable to injury because of its complex structure. Most knee injuries can be treated with rest, braces or strengthening exercises. However, surgery may be needed when severe injuries occur or when conservative treatment has failed. RICE and over-the-counter NSAIDs, including naproxen or ibuprofen are often enough to provide relief from your symptoms. Your doctor may recommend exercises to stretch and strengthen your quadriceps muscles or prescribe physical therapy. Orthotics or arch supports may also be recommended to adjust the position of your feet. Recovery time will vary from patient to patient. You should avoid any physical activity that causes your knee pain until your knee feels as strong as your other knee and the pain has gone away. For instance, instead of running, try swimming, which will not put pressure on your knee. When seeking treatment for runner’s knee, you want expert care from a top sports doctor who has been specifically trained in knee issues. Dr. Howard Marans has completed a Knee and Shoulder Fellowship at Toronto’s Orthopedic Arthritic Hospital and has successfully treated thousands of patients over the past twenty years. If you have knee pain, do not delay treatment. Please call 714.979.8981 or click below to schedule your consultation with Dr. Marans today. Is Your Wrist Pain Due to Carpal Tunnel Syndrome? It is easy sometimes easy to shrug off an occasional cramp in your wrist or hand as nothing to really worry about. You may pass the pain off as a minor strain or pain. However, if the pain does not go away, comes and goes, or you are experiencing numbness or tingling in your hand or wrist, it could be a sign of something more serious. If this is the case, it is a good idea to discuss your pain with your doctor to prevent further damage that could permanently affect your hand or wrist. Carpal tunnel syndrome is a common condition that causes pain in the wrist. It is caused from the median nerve being compressed. The median nerve runs from the forearm, through the wrist and ends in the palm of the hand. It runs through an area of the wrist that is called the carpal tunnel, which is a narrow “tunnel” that is formed by bones and ligaments at the base of the hand. Tendons also run through the carpal tunnel with the median nerve. The carpal tunnel can become narrower when swelling or the thickening of the tendons occurs, thus causing pressure on the median nerve. This nerve is responsible for controlling feeling to the palm side of the thumb and all fingers but the pinky. It also sends impulses to smaller muscles in your hand that assist with the movement of your fingers and thumb. The symptoms of carpal tunnel syndrome may begin gradually. You might feel a burning, itching numbness or tingling sensation in your fingers or in the palm of your hand. Your hands might feel like they are swollen when they aren’t. Often, people who are suffering from this condition will wake up during the night having pain or numbness in one or both hands. As this condition progresses, you might feel tingling in your hand(s) throughout the day. It may become difficult to make a first, pick up small objects or do work with your hands. In severe cases, you may have difficulty knowing whether something is hot or cold when you touch it. If you suspect you have carpal tunnel syndrome, do not delay treatment. Dr. Howard Marans has successfully treated this condition with both non-surgical treatments and arthroscopic surgery when needed. Please schedule your consultation by calling us at 714.979.8981 or online by clicking the button below. 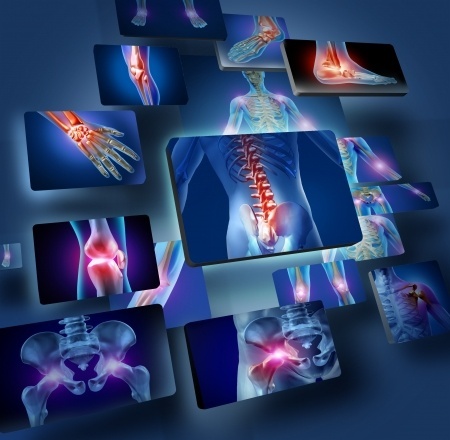 Orthopedic medicine is an area of medicine that focuses on diseases and injuries to the musculoskeletal system. This system is very complex and includes bones, joints, muscles, tendons, ligaments and nerves. Orthopedic surgeons complete a minimum of 14 years of formal education and that is just before going through any specialty training or becoming board certified. After all this training, an orthopedic surgeon is required to go through a rigorous re-certification process every 10 years. This ensures that the surgeon keeps up to date with current orthopedic knowledge. When Should You See an Orthopedic Surgeon? Your primary care doctor can treat you for many things. But it is usually best to seek orthopedic care when you experience an injury to a bone, joint, tendon or nerve. Not all orthopedic injuries require surgery. Dr. Howard Marans first works with his patients to treat injuries and orthopedic conditions with non-invasive treatments whenever possible. After determining the extent of the injury through x-rays or other diagnostic testing, Dr. Marans creates an individualized treatment plan for each patient. In many cases, rest, NSAIDs and physical therapy will provide pain relief and allow injuries to heal. If conservative treatment fails to resolve your pain, then surgery may be recommended. Do not delay treatment. Your best option for a fast recovery from an orthopedic injury is to seek prompt medical care from an expert in orthopedic care. Dr. Marans is known as a skilled orthopedic surgeon who has successfully treated thousands of patients over the past 20 years in Orange County. For prompt orthopedic care, please click below or call Dr. Marans’ office at 714.979.8981 to schedule your consultation. It is common for people who are physically active throughout their life to experience a knee pain that will not go away without treatment from a specialist. Knee injuries are often caused by sports-related activities or labor intensive job duties. Sometimes the pain is caused from overuse or a twisting motion. Without sports medicine therapy, it is unlikely that the knee will heal on its own. When your pain does not go away, it’s time to visit a knee specialist. Knee pain can leave you feeling constant discomfort and reduce your quality of life. There is no reason to continue suffering with knee pain. You can return to your active lifestyle sooner by finding the top knee specialist available in Orange County. Unforgiving pain and weakness are the most common symptoms of a chronic injury to the knee. Without proper diagnosis and treatment, your knee pain will worsen. Dr. Howard Marans, the top knee specialist in Orange County, has over two decades of experience diagnosing and treating knee problems. Quickly addressing these symptoms of knee injury will help give a better outcome through early diagnosis and treatment. As the top knee specialist in Orange County, Dr. Marans has substantial experience in diagnosing a vast array of knee conditions and injuries. The Doctor will examine your knee, review of your medical history, evaluate the incident surrounding the injury, and order diagnostic tests to determine the target cause of pain. 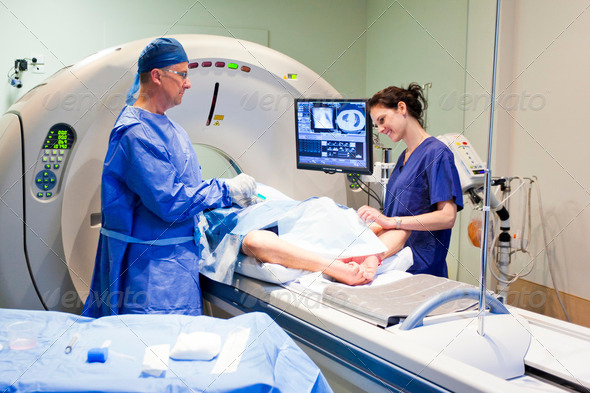 Tests may include X-rays or MRIs or other diagnostic tests. Dr. Marans develops an individualized treatment plan for each of his patients. 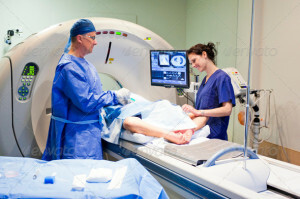 Depending on the severity of your injury, he may take a conservative approach through minimally invasive surgery or non-surgical techniques. Dr. Marans specializes in arthroscopic surgery which is a cutting edge technology used to treat ligament tears, meniscal tears, and damage to the cartilage of the knee. Dr. Howard Marans, founder and medical director of OCOrthopedic+, is the top knee specialist in Orange County who will help alleviate your pain and reclaim your quality of life. Please click the icon below to schedule your consultation online – or – call 714-979-8981. When you have suffered an injury requiring the care of a top orthopedic surgeon, you no longer need to have concerns about your choice. Dr. Marans is the top orthopedic surgeon in Huntington Beach. Only a top orthopedic surgeon will be able to help you return to optimal function given the severity of your injury or medical condition. Dr. Howard Marans is the top orthopedic surgeon in Huntington Beach offering substantial clinical experience. Dr. Marans has been practicing in the Huntington Beach area for over 20 years. 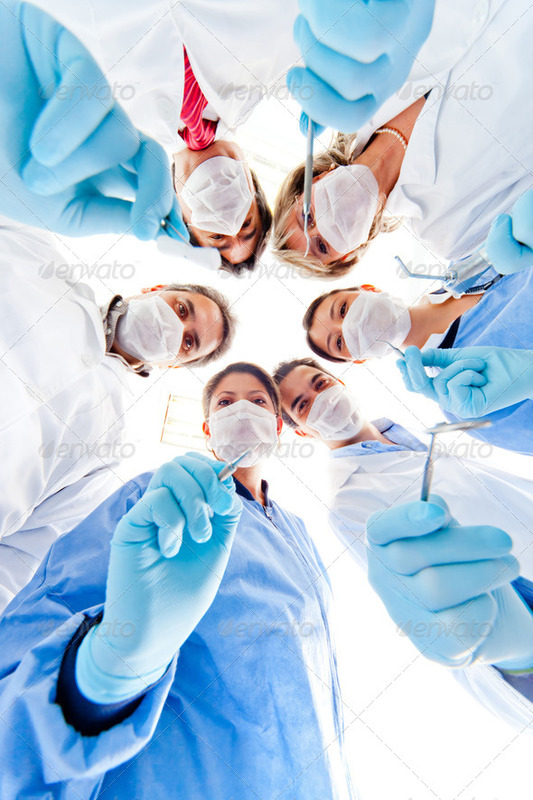 During this time, the Doctor has developed a solid reputation as a trusted member of the medical community. Dr. Marans has consistently received top reviews serving as testaments to his commitment to excellence when treating his patients. When you’re injured and in pain, you will not have to wait an unreasonable amount of time to be seen by Dr. Marans. In many cases, patients are seen within one to two days of their initial phone call for an appointment. When possible, the Doctor will see you on the same day you call. Dr. Marans prioritization of newly injured patients has earned him the reputation as the top orthopedic surgeon in Huntington Beach. No two patients or injuries are alike. Keeping this in mind, Dr. Marans tailors his treatments to provide the best outcome for each patient. During your first consultation, the Doctor will discuss your concerns and answering any questions you may have related to your treatment and recovery. Dr. Marans will prescribe the necessary diagnostic tests, including X-rays and MRIs and review your complete medical history as he develops your treatment options. Dr. Marans will first take a conservative non-surgical approach to treating an orthopedic injury or degenerative condition. Often recovery time can be reduced along with the patient’s pain without the need for surgery. However, if relief cannot be obtained through non-surgical methods, the Doctor will provide you with the best options for surgery to relieve your pain. You deserve top orthopedic treatment for your orthopedic injury. When you schedule an appointment to see Dr. Howard Marans, you can rest assured that you’re seeing the top orthopedic surgeon in Huntington Beach. To schedule your consultation with Dr. Marans, click the icon below and enter your information online – or – call 714.979.8981. A top rated orthopedic surgeon will accurately diagnose your symptoms and provide you with the most effective treatment. Only a top rated orthopedic surgeon will guide you through the choices for treating your medical condition or injury. You will likely be presented with a variety of surgery options. Seeking medical attention from a top surgeon who specializes in orthopedic medical conditions and injuries is imperative. Dr. Howard Marans values the patient’s time. The Doctor commits to seeing a new or returning patient as soon as possible. When an appointment is made, he expects to see the patient within one or two days. Value of time is implemented during every office visit. The Doctor understands sitting for a long period of time may make the pain of an injury or degenerative disease worse. He keeps all waiting times down to a minimum. If he knows the patient has been injured, Dr. Marans will do his best to see the individual on the same day. He understands, no one wants to be in pain while waiting to see a qualified Orange County orthopedics. He is committed to providing the best health care results for each patient. Dr. Howard Marans understands each person’s health circumstance is unique. He does not believe in treating two patients in the same manner. Dr. Marans gives each person specialized individual attention based on their current health care needs. The first consultation is designed to help ease the patient’s concern and address questions. Dr. Howard Marans believes in giving an accurate diagnosis based on each individual’s situation. The accurate diagnosis will be obtained through a complete medical history, x-rays, MRI’s and other testing to help pinpoint the exact nature of the health concern. By receiving an accurate diagnosis, Dr. Marans can provide a variety of treatment options for an optimal outcome. If the injury or degenerative disease is not severe, Dr. Howard Marans may implement a variety of non-surgical treatment options to help ease the patient’s symptoms. By providing an accurate diagnosis from the start, he can create a treatment program to help maximize the healing process. When all the non-surgical options have been exhausted, Dr. Marans will proceed with best surgical option to fix the problem. With over two decades of experience in the field, Dr. Howard Marans is renowned as a highly skilled orthopedic surgeon practicing in the Fountain Valley area. The Doctor’s approach to treatment of any condition or injury focuses on catering to the personal needs of each individual patient to ensure a lasting recovery. The best reviewed orthopedic surgeons will be able to provide you with the guidance you need in choosing from a variety of surgery options. Getting medical attention from an orthopedic surgeon will aid in relieving pain in the knees, ankles, hips, shoulders, hands, or wrists. Dr. Howard Maran is qualified to work with new patients in alleviating their symptoms of pain and discomfort. The Doctor strives to help every patient regain their strength. He is prepared to help you return to a healthy regime with his successful treatment plans. Dr. Marans is a best reviewed orthopedic surgeon because he is open to answering your questions. The Doctor will help inform and reassure you about the choices you make regarding your health. Read more about what makes Dr. Marans the best reviewed orthopedic surgeon. With over two decades of experience in the field, Dr. Howard Marans is renowned as a highly skilled orthopedic surgeon practicing in the Huntington Beach area. The Doctor’s approach to treatment of any condition or injury focuses on catering to the personal needs of each individual patient to ensure a lasting recovery. Dr. Howard Marans is highly qualified to address every patient’s treatment needs. To schedule your consultation with a best reviewed orthopedic surgeon, click the icon below and enter your information online – or – call 714.979.8981. Is Shoulder Impingement Surgery Really Effective? One of the main reasons people seek medical treatment from orthopedic specialists is because of shoulder pain. The shoulder allows for a large range of motion by the arm making it a very complex part of the body. Shoulder impingement surgery allows patients to heal parts of the shoulder that have been injured such as muscles, tendons, and bones. Shoulder impingement syndrome occurs when rotator cuff tendons become pinched between the bones in the shoulder. The pinching causes impacted tendons to become inflamed and damaged. The pain associated with impingement syndrome will only worsen if the condition goes untreated. Swelling of the tendons will result in them being further pinched by the bones and other muscles in the shoulder. Shoulder impingement surgery is a surgical option people can turn to if less invasive treatments, such as physical therapy, are unsuccessful. The main goal of the surgery is to increase the amount of space the rotator cuff has in order to stop and prevent impingement. The procedure may even involve having to remove parts of the shoulder in order to make more room. During arthroscopic surgery, doctors make small incisions to access the target area. Surgical instruments and cameras are then passed through these small openings allowing doctors to accurately work on the impacted area. This approach allows for bone and tissue to be removed at the doctor’s discretion. Sutures can also be orchestrated using the arthroscopic arms. Arthroscopic surgery allows doctors to treat the affected tissue without ruining the surrounding tissue. During open surgery, the doctor will make a large incision in the shoulder so that they have full access to the impacted area. This in turn allows them to focus solely on the rotator cuff and its surrounding areas. Treatment includes doctors surgically removing the impacted tissues and bones in order to help the patient regain their strength and range in motion. Recovery is necessary for both the shoulder and the surrounding areas following the surgery. Depending on the surgery, recovery time for every patient will vary. Open surgery has a longer recovery time than arthroscopic surgery. Physical therapy rehabilitation will be necessary after the surgery to restore strength and movement. With over two decades of experience in the field, Dr. Howard Marans is renowned as a highly skilled orthopedic surgeon practicing in the Orange County area. His approach to shoulder impingement surgery focuses on catering to the personal needs of each individual patient to ensure a lasting recovery. Dr. Howard Maran is highly qualified to address every patient’s treatment needs when it comes to shoulder impingement surgery. To schedule your consultation with a leading shoulder impingement surgery provider, click the icon below and enter your information online – or – call 714.979.8981. Every year, thousands of people seek medical attention for a broken arm or arm fracture. The common arm injury can happen to anyone regardless of age. The cause of the injury is usually due to a fall or a direct impact creating a trauma to one of the three major bones in the arm. Finding the top doctor for a broken arm is your foremost priority to obtain an optimal healing process. Seeking medical attention from a doctor for a broken arm should be done as soon as the injury occurs and symptoms surface. Waiting to see a doctor may create further complications. In some cases, the broken bone or bone fracture may be too severe to receive medical treatment at the primary doctor’s office or emergency room physician. When this is the case, an orthopedic surgeon will need to examine the arm to proceed with the best treatment option. Under most circumstances, Dr. Howard Marans will be able to see a patient having sustained a broken arm within a short period of time. By having the entire necessary information ready, the appointment will proceed in a smooth manner. You doctor will discuss the incident, review the notes, and begin a physical examination. During this time, the broken arm or arm fracture will be tender. After the physical examination, the doctor will begin with testing, including X-rays and an MRI. The test will help in determining the best treatment for the broken bone or arm fracture. The severity of the break and the patient’s medical history determines how the treatment process will begin. Surgery to add pin, wires, plates or screws to stabilize the location of the arm when moved back into position. Dr. Howard Marans – founder and medical director of OCOrthopedic+ is a top doctor for arm fractures. Please click below and enter your information – or – call 714.979.8981 to schedule a consultation.